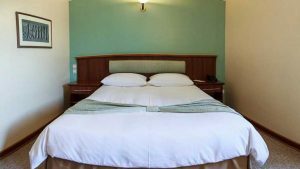 Eskan HotelTehran has loyal guests in both their branches. This loyalty has its roots in the quality service offered by the staff. This branch of Eskan Hotels is closer to Tehran landmarks and the older parts of the city. Metro and bus stations make transportation easy. The hotel is small, yet cozy and friendly.